Keep your cash organized and secure with this Star Wars Han Solo Carbonite Money Clip. Made of plated base metal and enamel, this money clip features Han Solo trapped in carbonite as seen on Bespin. 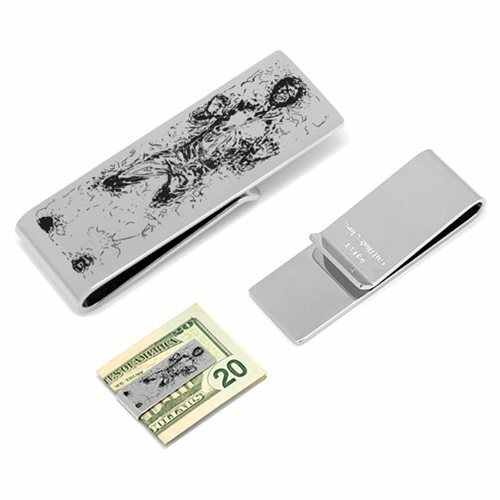 This money clip measures approximately 2 3/8-inches tall x 11/16-inches wide. Features a sliding grip security closure.